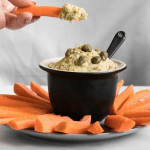 Your basic hummus recipe, but with a different touch by the addition of capers. It’s a vegan recipe that is also gluten-free and dairy-free. It’s ideal as a snack or to accompany a main vegetable dish, or Buddha bowl, and it’s perfect to add it to your Healthy Meal Planning. If you’ve already prepared hummus before, you know how easy it is to make. There’s not much mystery behind this version and there are few steps which will result in something quite exquisite. Add some water and start to blend. Continue adding water until the hummus achieves the consistency of your preference. The more water you add, the less consistency it will have. 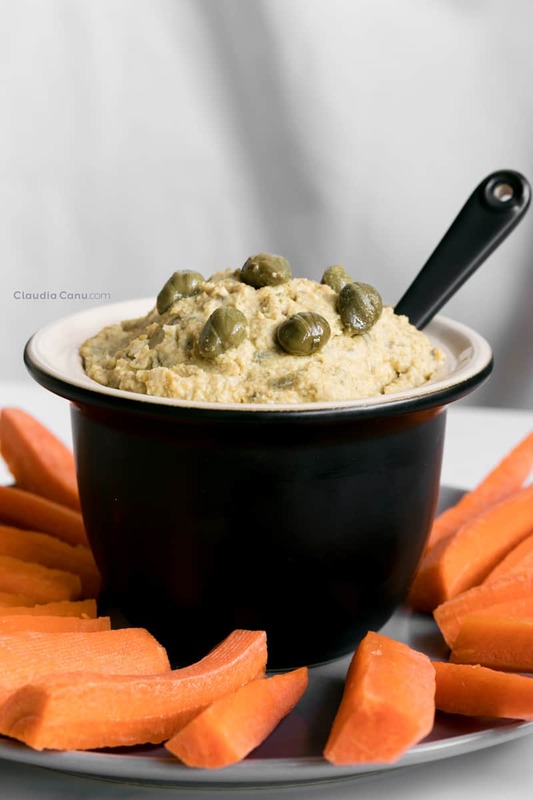 Voilà, your caper hummus is ready to be served. And if you want to pay extra attention to your presentation, reserve some capers to add in as décor and serve them in an eye-catching container like this one I bought from the online shop Claudia & Julia. And don’t forget to add in some veggies for that colorful touch. 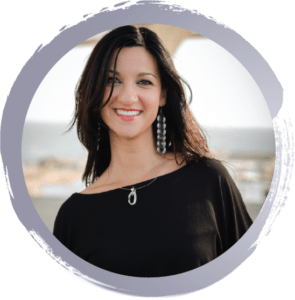 I had already heard about the wonders of hummus and the many nutrients it supplies to our body, and there are many studies which prove that to be true. Since I can’t add links to all the studies that I’ve found, I’m including one which I believe summarizes it perfectly: The Nutritional Value and Health Benefits of Chickpeas and Hummus. The study shows that consumers of chickpeas and/or hummus have higher nutrient intakes of dietary fiber, polyunsaturated fatty acids, vitamin A, vitamin E, vitamin C, folate, magnesium, potassium, and iron as compared to non-consumers. 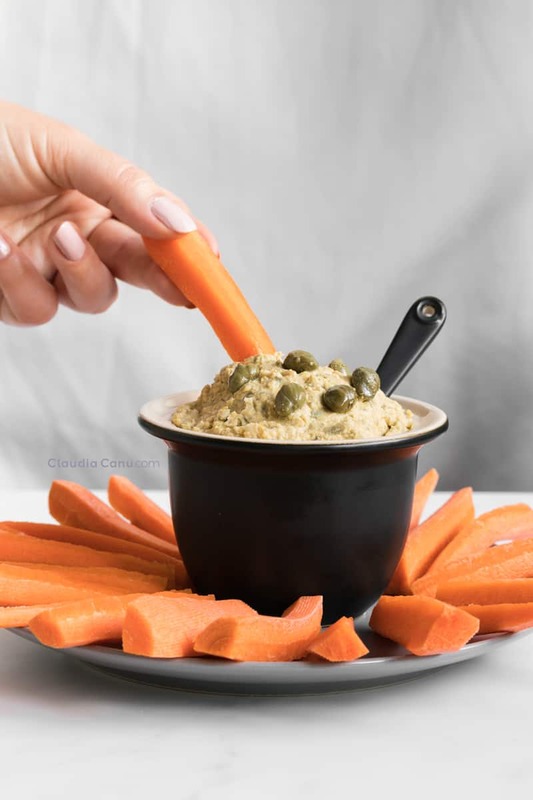 Emerging research suggests that chickpeas and hummus may play a beneficial role in weight management and glucose and insulin regulation, as well as have a positive impact on some markers of cardiovascular disease (CVD). Raw or cooked chickpeas and hummus also contain dietary bioactives such as phytic acid, sterols, tannins, carotenoids, and other polyphenols such as isoflavones, whose benefits may extend beyond basic nutrition requirements of humans. In a 2007 study they proved that by inhibiting the accumulation of harmful lipid oxidation products and increasing the level of bioavailable vitamin E, caper may have beneficial health effects, especially for people whose meals are rich in fats and red meats. It may be worthwhile to mention that the antioxidative activity was evident at a caper/red meat ratio of 1:10 (w/w), which is consistent with the use of the caper buds as a cooking flavoring. In a 2018 study where they have reviewed publications on the phytochemical and pharmacological properties of capers, they write that there is evidence, although limited, to suggest benefits of capers. However further studies are needed to confirm these benefits. 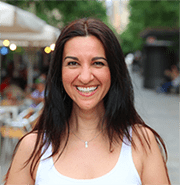 What remains true is that it’s always good to keep rotating the type of food we consume in our diets, and since capers do provide different flavor profiles to our dishes, I suggest you start introducing them in your diet. What does caper hummus taste like? If you’ve eaten hummus before, you know that it has a very smooth and soft taste. However, if you add some capers in vinegar, it will give it a sour note. In this particular recipe, I decided to also use the caper juice to highlight the tangy profile even more. Keep in mind that as the days go by, the tanginess will only increase. If you’re not a fan of this flavor profile, you can drop the caper juice and just use water. This way, you’ll still be able to have a caper-tasting hummus without the sourness. All year. 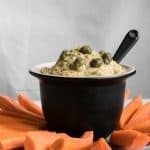 Since capers are preserved in vinegar and can be bought throughout the entire year, you won’t have any problems preparing it both in summer and winter. 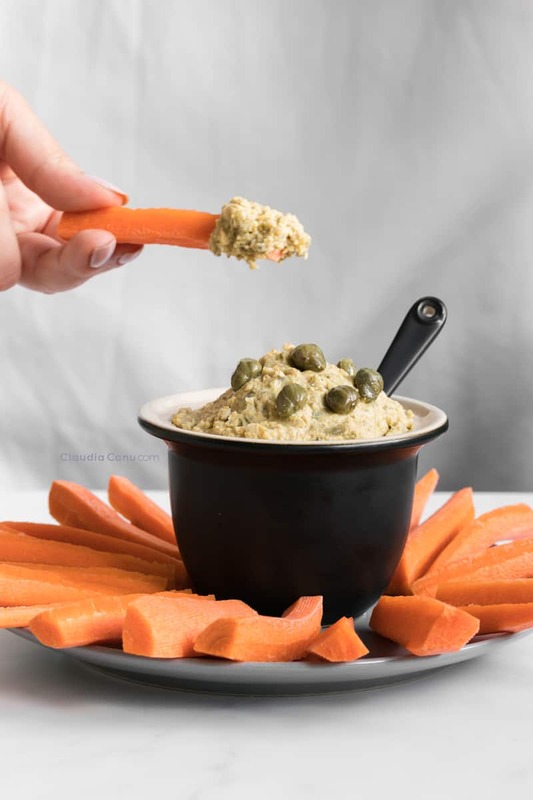 Additionally, aside from the capers, this hummus is prepared with ingredients which you can have in your pantry year long, such as tahini and garbanzo beans. During summer it’s perfect for a healthy snack with crudités while it’s also the perfect accompaniment to any heavier dish consumed when it’s cold, such as baked/grilled vegetable dishes or even a Buddha bowl. 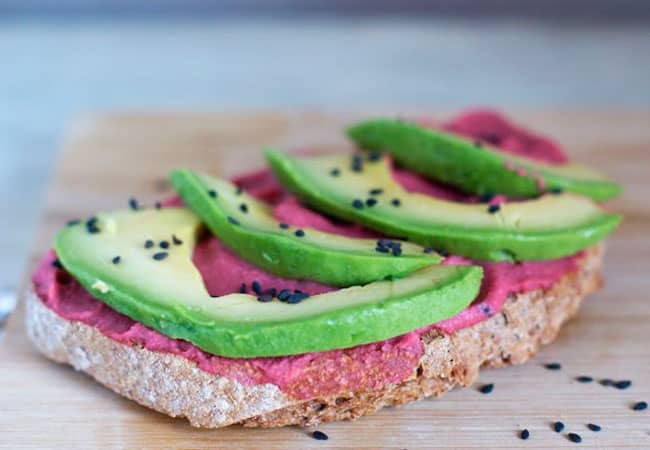 Of course, hummus can also be the perfect topping for toast, although it is also an ideal dip to be consumed with vegetables, which allows us to make sure our recommended vegetable intake of the day is in check. You can also use this hummus to prepare my other recipe for the Zucchini roll-ups with veggies. The best way to store it is in a glass Tupperware that is tightly sealed and placed in the fridge. If it is stored correctly, it can last up to a week in the fridge, although the sooner you consume it, the better. And if you’d like to bring it over to a friend or family member so they can get a taste of something delicious, you can use a recyclable glass jar. Hummus is one of those preparations which is ideal for a picnic or bbq. It’s incredibly easy to prepare and even easier to carry around. Just prepare those vegetable crudités before leaving and you’ll make a great impression at that lunch or dinner you were invited to. This is also a great option for brunch. And if you’d like to take it to work as a healthy snack, I’m sure you’ll be the source of envy for everyone at the office. Can I prepare it with other flavors? ¿What types of hummus have you tried? ¿What do you usually eat it with? ¿Would you try this recipe for yourself? Leave a comment below with any questions, doubts, and suggestions you may have, or even if you’d like to share your experiences eating hummus. And if you think that someone you know may find this recipe interesting, feel free to send it or to share this post directly to your social media channels. Add some water and start to blend it all together. Pour it in a bowl and decorate with some reserved capers. 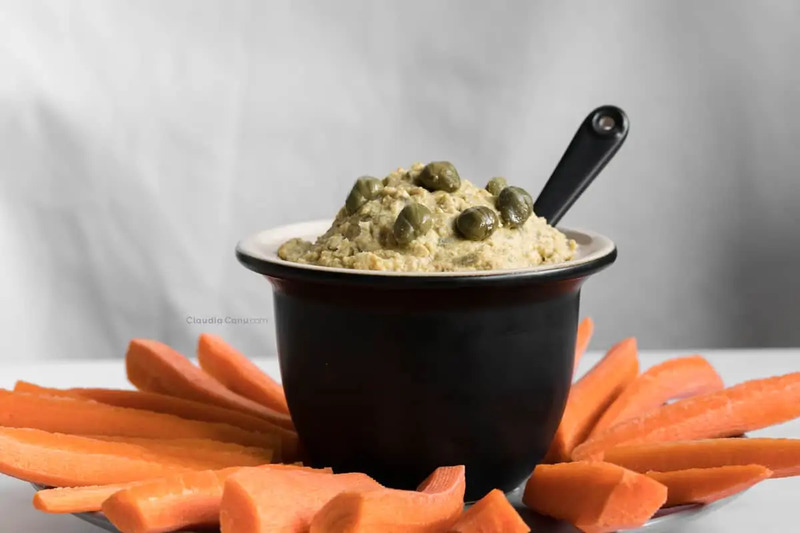 I love capers and I love the taste of this hummus! Also, it’s a very original recipe to bring to a friends’ dinner. Thank you so much for your comment, Samuel!